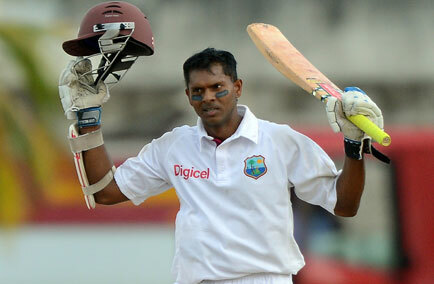 Australia vs West indies 3rd Test match shivnarine chanderpaul Crossed 10000 Test Runs to create history. he become the 10th batsman to create this history in the test match cricket. After reaching this milestone he say "I have been batting well and spending a lot of time at the crease, and to reach 10,000 Test runs is something special for me. It was one of the goals I set myself and I believe I have reaped for reward for the hard work I put in over the years. "When I go to bat, I know I have a job to do for the team and the people of the West Indies. Test cricket is the ultimate form of the game and this is where you want to perform and give your best. I will keep striving for more."